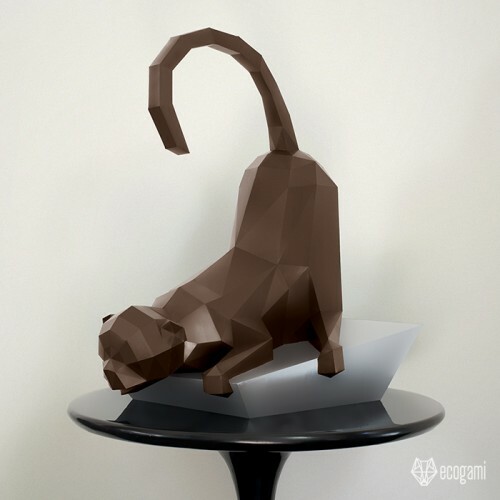 Make your own papercraft low-poly spying monkey with our printable PDF pattern! It’s easy! Just follow the instructions & you will be proud of your paper sculpture. Isn’t it a nice & unique décor object for your sweet home or even a gift for a wildlife lover?